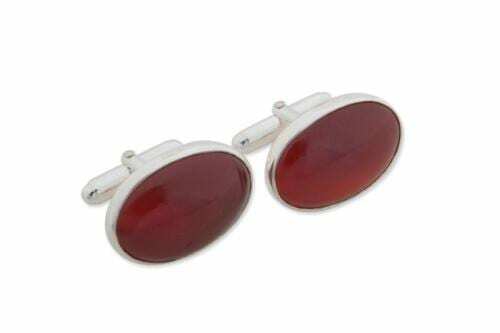 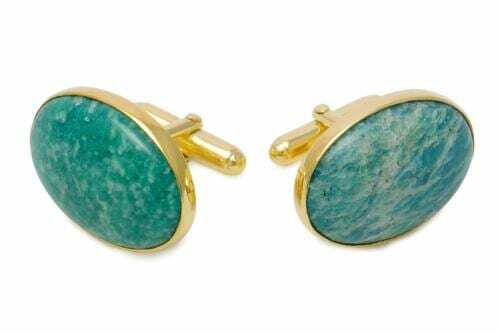 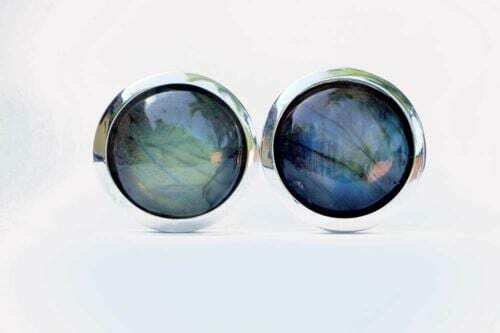 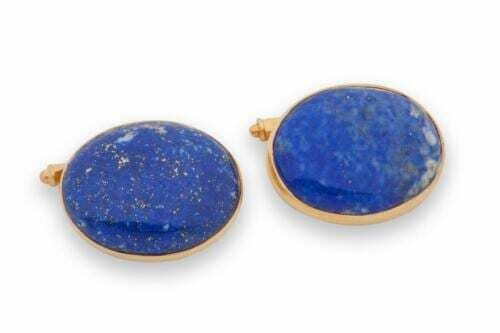 Regnas Imperial Mixed Double cufflinks are ‘Dual purpose’ They can be reversed for morning and evening wear. 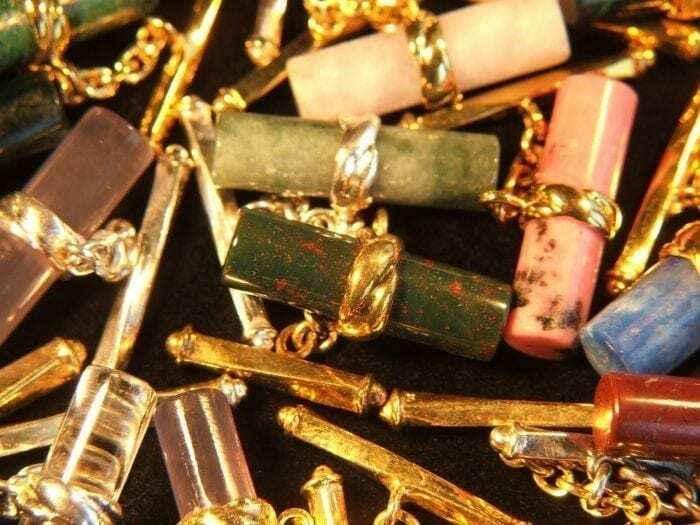 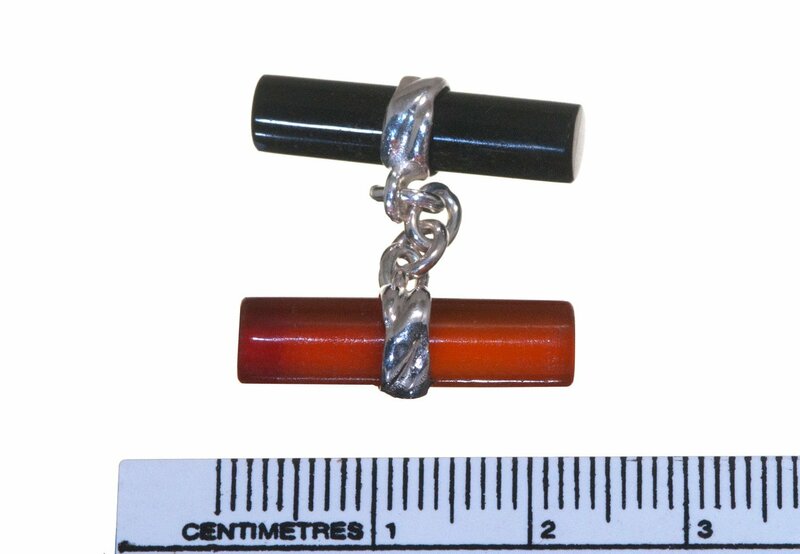 Four cylinder gemstone shapes measuring 22 x 5.5 mm are (7/8 x 13/64 inch) carved and twinned with sterling silver chain. 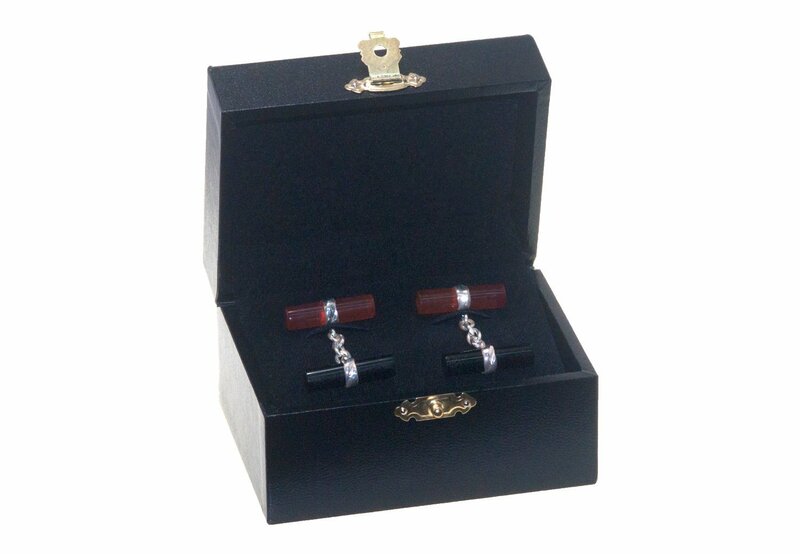 This pair Mixed doubles black onyx and Red agate. 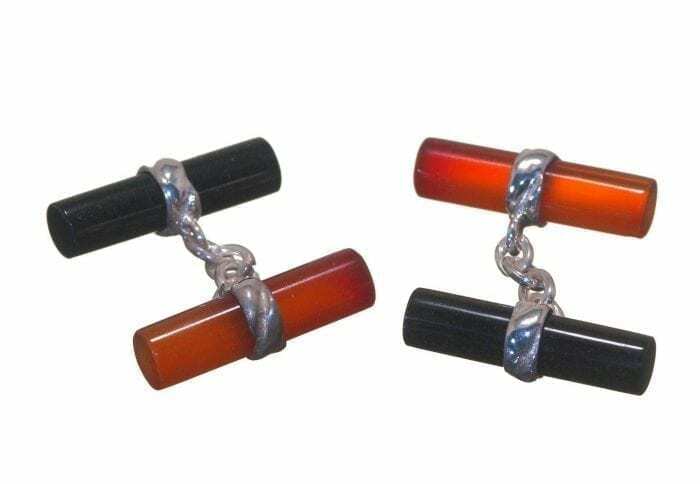 An original and useful concept in cufflinks…As you can see.